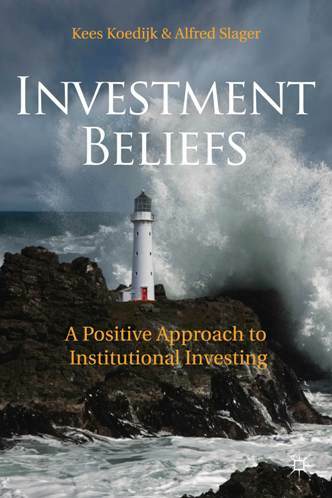 I wrote my book, What Investors Really Want, because I worry that we have moved from the cardboard image of investors as rational to the cardboard image of investors as irrational and lost the true image of normal investors in the process. Normal investors are investors like you and me, often normal-smart but sometimes normal-stupid. I also worry that we have lost the connection between investments and the life of investors beyond investments. I wanted to understand what normal investors really want. And I wanted to describe normal investors as they really are. Because investors who fail to understand themselves cannot help themselves, and advisors who fail to understand normal investors cannot help them. Investments have three benefits, utilitarian, expressive, and emotional, and we face tradeoffs among them. Utilitarian benefits are the answer to the question, What does it do for me and my pocketbook? The utilitarian benefits of watches include time telling, the utilitarian benefits of restaurants include nutritious calories, and the utilitarian benefits of investments are mostly wealth, enhanced by high investment returns. Emotional benefits are the answer to the question, How does it make me feel? The best tables at prestigious restaurants make us feel proud, insurance policies make us feel safe, lottery tickets and speculative stocks give us hope, and stock trading is exciting. People in both behavioral finance and standard finance see financial products as distinct from other products such as restaurant meals, cars, or sunglasses. I think that’s crazy. We are willing to pay $700 for status sunglasses when other sunglasses with the same utilitarian qualities sell for $50. The same is true for hedge funds, art, or houses. We face tradeoffs everywhere. A man can take his date to a local Italian restaurant where he would pay $30 for 1,000 utilitarian calories for each of them. Or he can take her to a fancy French restaurant where he would pay $300 for the same 1,000 utilitarian calories plus expressive and emotional benefits. The man gains expressive benefits as he expresses to his date his riches and generosity. He gains the emotional benefits of pride in himself and the hope that this night’s date would lead to more. Sometimes the choice of the expensive restaurant is best. But we must know the tradeoffs between the three kinds of benefits. We can’t have it all. Index funds are right for investors who care only about the utilitarian benefits of high returns relative to risk. But there’s too much self-righteousness in the arguments for indexing. An index fund is like a Honda Accord, a good car at a good price. But a Honda sports car is more exciting, like an active fund. There is nothing wrong in buying a sports car or an active fund unless you imperil your ability to pay rent or save for the college education of your children. We are not always aware of the tradeoffs we face. We tell ourselves that we can add to the utilitarian benefits of profits by trading stocks when, in truth, they detract from profits, in exchange for gaining the image of a trader and the pride of the occasional winning. The financial services industry does not always present the tradeoffs. They regularly imply that we can have it all. They say that we can trade and win. But, more often than not, we can’t. The desire for having it all is common to all people in all cultures. But Americans excel at it. The Dutch know that we are all destined to die and conclude that there is no point in spending billions to add two painful months to the lives of terminal cancer patients. But Americans want to live forever. Our ambition does us good, prompting us to work hard for our high aspirations. And it does us bad when our aspirations are unrealistic. This entry was posted in Blog and tagged Investment, Investor. Bookmark the permalink.